Not fit to stay at home. A deadly superstition that segregates women during menstruation is killing too many. According to the New York Times, there are reports of Nepali women dying annually because of the ancient Hindu practice of banishing them to 'menstrual huts' every month during their period. The huts are unliveable and windowless, and women are dying from snake bites, exposure to the cold and smoke inhalation while trapped inside. And those who don't have 'menstrual huts' are sent to cow sheds. This practice called chhaupadi has been in place for hundreds of years in the country. It is rooted in the belief that menstrual blood is impure and causes sicknesses, and so women must be restricted from participating in everyday life events. Villages of Nepal- Beautiful ?? Photo: @reisverslaafd #nepal #nepal8thwonder #wow #wownepal #nepalisbeautiful #explore #explorenepal #explorehimalayas #landscape #landscape_captures #mountains #adventure #trek #trekkinginnepal #visitnepal #travelnepal #awesomenepal #himalayas #himalayasnepal #annapurna #annapurnaregion #Annapurnarange #annapurnas #village #nepalivillage Hashtag ?? #nepal8thwonder ?? to share your Nepal stories and get featured ? According to the belief system, any contact with a menstruating woman is bad luck, and women are forbidden from cooking and having contact with people, especially men and livestock. 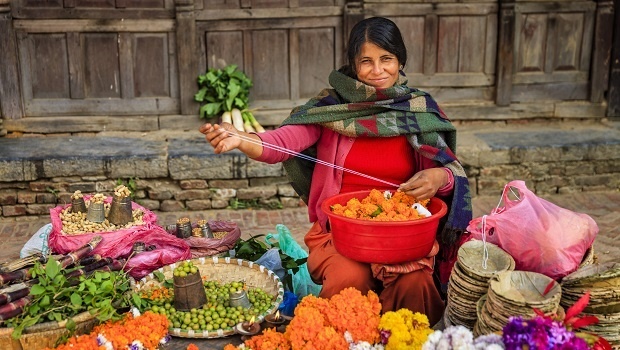 A Nepali government survey in 2010, cited in a state department human rights report, found that 19 percent of women in the country aged 15 to 49 practiced chhaupadi. This is regardless of the fact that the practice was banned in 2005 and criminalised in 2017. Fourteen years later, the custom is still prevalent and many women still use these huts in their villages due to ongoing menstrual taboos. There were reports from the BBC, that menstruating girls in Ghana were forbidden from crossing the Ofin river they normally use to reach school. The ban was said to come from the 'river god' who also restricted them from crossing on Tuesdays. Although the Indian Supreme Court revoked this practice, devotees protested against the ruling. There has also been a report of a priest who performed a cleansing ceremony after two women worshiped in the Sabarimala temple according to The Times of India. The Guardian reported that Chinese women were shocked when swimmer star Fu Yuanhui announced that she was on her period when she swam at the 2016 Olympics Rio. Discussions about menstruation are a taboo in China which is why Fu Yuanhui's interview and openness was searched more than 500 000 times in just half a day. A lot of women said they didn’t know that someone was able to swim while menstruating without leaving a trace of blood in the pool. READ MORE: "I was ashamed of getting my period so I kept it a secret"
According to The Logical Indian, the social prejudice around women menstruation is still very alive at the Rautgara village In Uttarakhand, in northern India. Parents are said to withhold girl children from going to school when menstruating, because the road they use, passes by worshiping temples and gods. They believe that menstruating girls will defile the temples. According to UNICEF, there is still humiliation surrounding menstruation in Bolivia. There are traditional beliefs in the country insisting that used sanitary pads should not even be disposed with the rest of the trash. It is believed that menstruation blood can cause sicknesses like cancer. Young girls are forced to carry around used menstrual pads. "I was ashamed of getting my period so I kept it a secret"